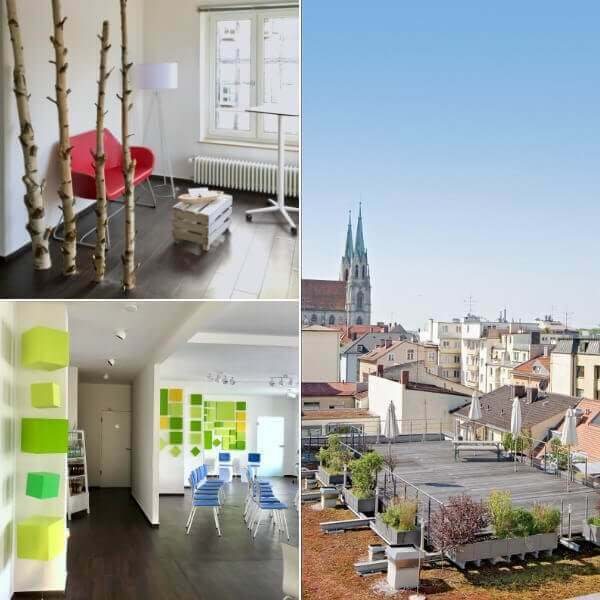 Find inspiring rooms in Munich and Duesseldorf. Our mission: inspiring rooms for workshops, trainings, conferences and meetings. 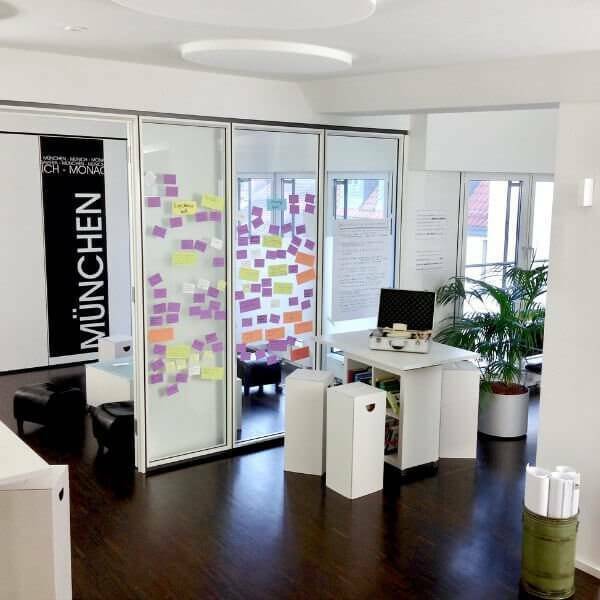 In Munich and Düsseldorf we support you with nicely designed locations and a lot of innovative ideas to boost your event. Take a look at our rooms or send us your inquiry! Our WorkLoft for workshops, vonferences, trainings and meetings. Located at the Main Station, with a great roof terrace. 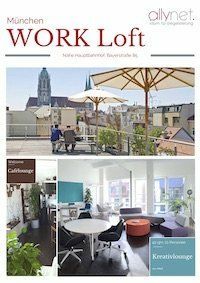 The work loft by allynet is the central meeting point for creative work over the rooftops of Munich, near the central station. If you are looking to book beautiful, bright and inspiring seminar rooms, conference rooms or meeting rooms – allynet is your location! 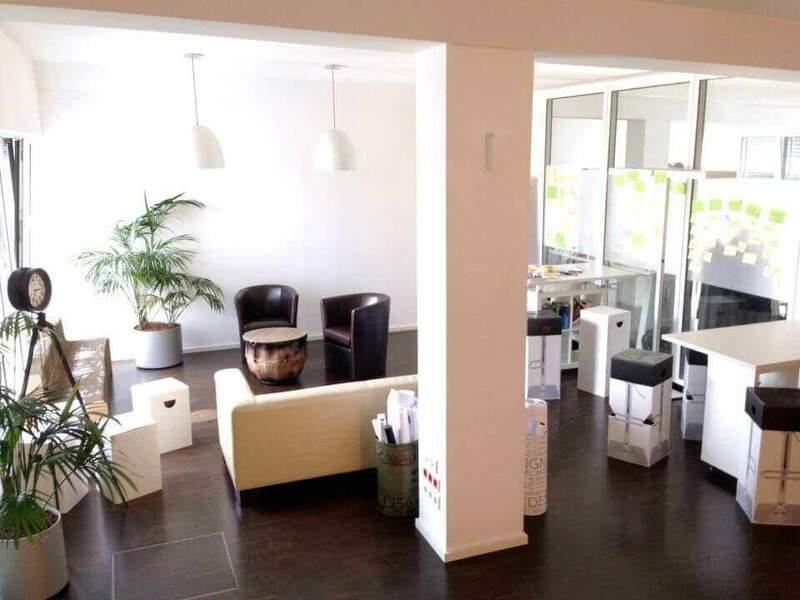 check in easily and welcome your guests in a friendly, modern and well-equipped world of work, in the heart of the Bavarian capital. Whether seminar, workshop, training, meeting, event, incentive, informative presentations or innovation space for new ideas – we create unique and individually designed rooms. One of the highlights certainly is our fantastic rooftop terrace with a view of St. Paul’s Church. On warm days it’s a popular place for meetings and after work. 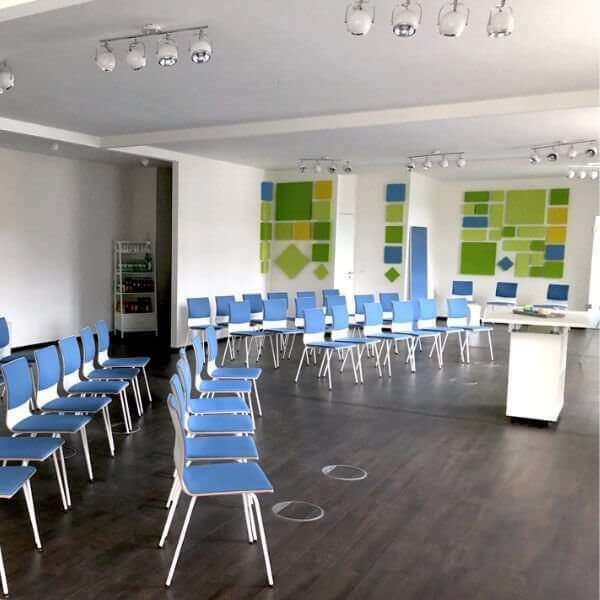 In the heart of the fantastic Old Town of Düsseldorf, right at the longest counter in the world and the harbour, is within easy reach of the house to the Elector and the hind annex connected by an internal terrace. Built in the 17th century, the “Haus zum Kurfürsten” impresses with its historic listed façade and represantive but modern environment. Not historic is the design of the wide spaces: air-conditioned, equipped with modern technology and stylish equipment, more than 800 square meters inviting to work in innovative and creative atmosphere. 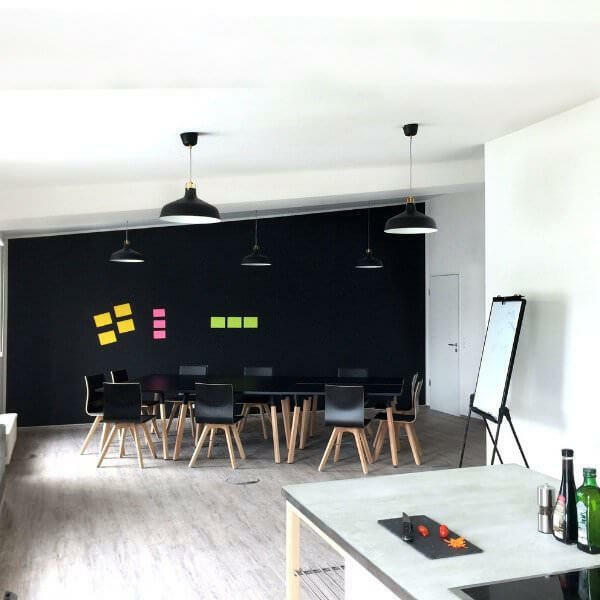 Seminar rooms, Conference rooms and Meeting rooms, a Design Thinking Lab for innovative workshops, a workshop kitchen for cooking and incentives, Team offices, café lounges and a dreamy covered outdoor area. 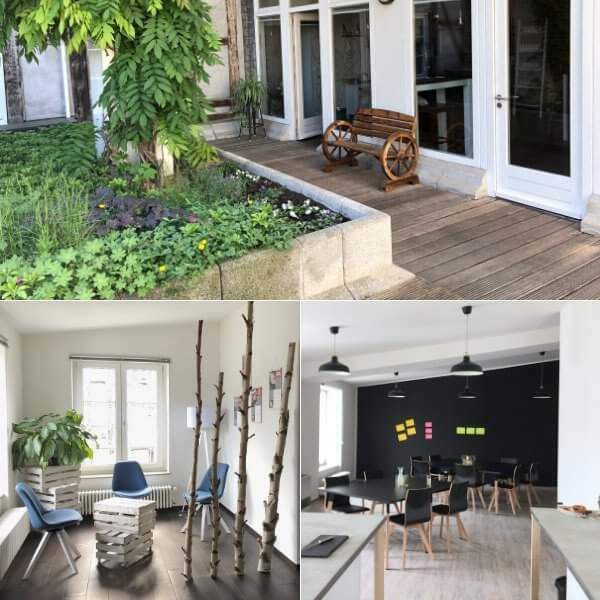 If you are looking to book flexible offices, e.g. for project groups, corporate coworking or as a temporary solution, our POP UP areas could be perfect. 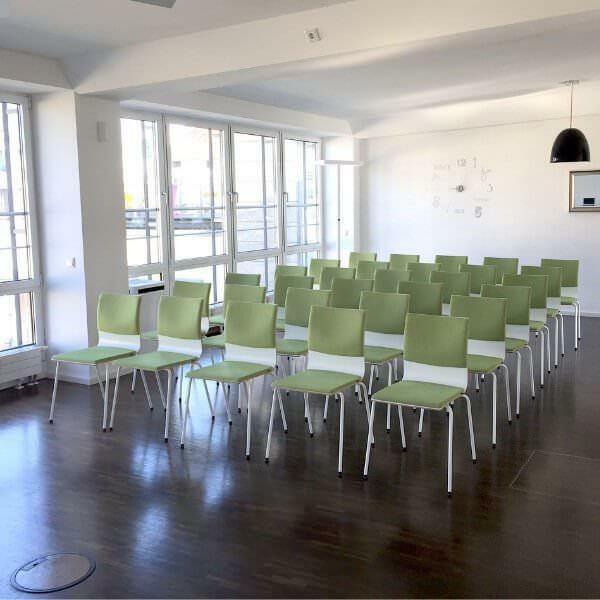 You can book our extraordinary conference rooms & meeting rooms in Munich and Duesseldorf. 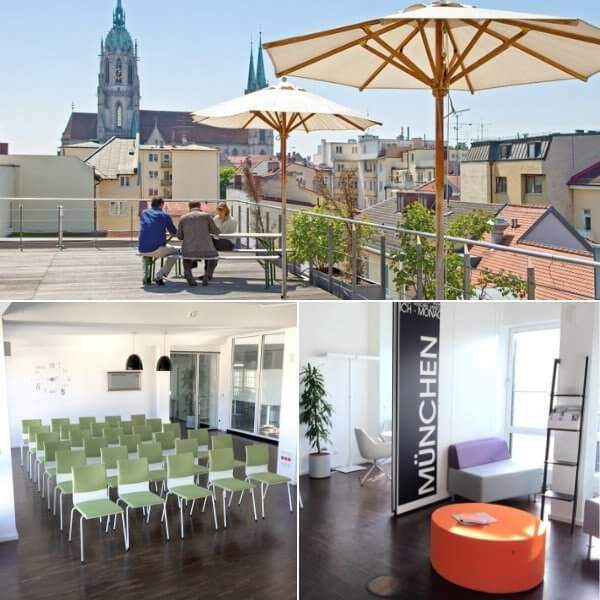 Marketing events, customer loyalty events, incentives, network events, meetings right in the heart of Munich – top top meeting places for up to 50 people. Ideas needed? Offsite! Get out of your own office and enjoy our spaces for up to 10 people. State-of-the-art conference technology and mobile separation elements for inventiveness & creativity. Efficiency & fun – space for meetings, conferences, business presentations and or discussion rounds in a stylish setting. 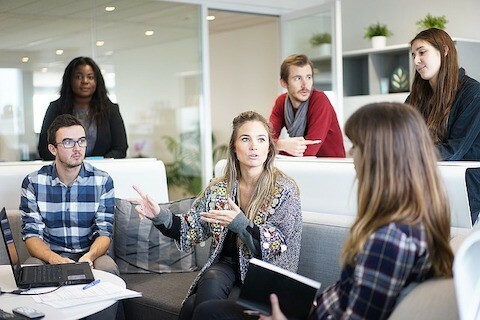 effective meetings: quiet, generous, inspiring & unique. 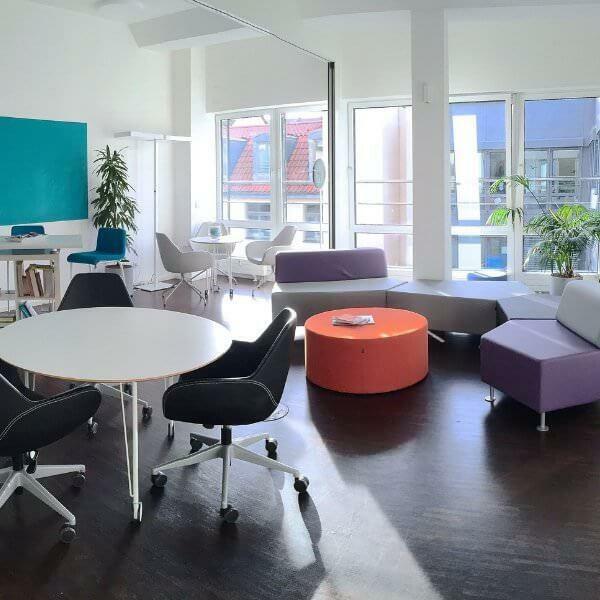 Creative workshop setups, method boards, equipment and furniture for co-creation, design thinking, Facilitating & Innovation Labs with up to 25 people. innovation space and an inspiring environment for more innovation. Looking for an exclusive corporate event and would like to have a whole space to yourself? Loft or house with plenary room, meeting rooms for breakout sessions & networking areas exclusive. Studies have shown that creativity and productivity can be increased by 40% with optimized room designs. Our setups are designed for creative and innovative processes. Including methodological guides easily to adopt into daily practice. Get in touch with our design team. Strengthen your teams. Social Events with charitable impact. More than a teambuilding – in combination with charitable elements or with innovation methods (i.e. design thinking). Increase the acceptance of team-building workshops with your colleagues by offering team building with charity or agile working methods. Ideally suited for short workshops (3-5 h). Since 2011 we have been supporting companies on their path to innovation – with professional organization, innovative ideas and impressive locations.